As the First World War was coming to a close, major powers across the globe began to design and manufacture tanks, realizing the potential of the new metal beasts. Armoured warfare had entered the world stage and countries began creating their own interpretations on what they envisioned as being a tank, and Japan was no exception. Japan was mainly a spectator during the war, but the Japanese Army had obtained information from closely watching the tanks deployed by the British and French. The Great War had illustrated the strategic and tactical transition forced by mechanization and new weapons. These changes frightened the Japanese, who had no major initiatives for armament or organization, and whose doctrine remained unchanged from the Russo-Japanese War, over a decade earlier. 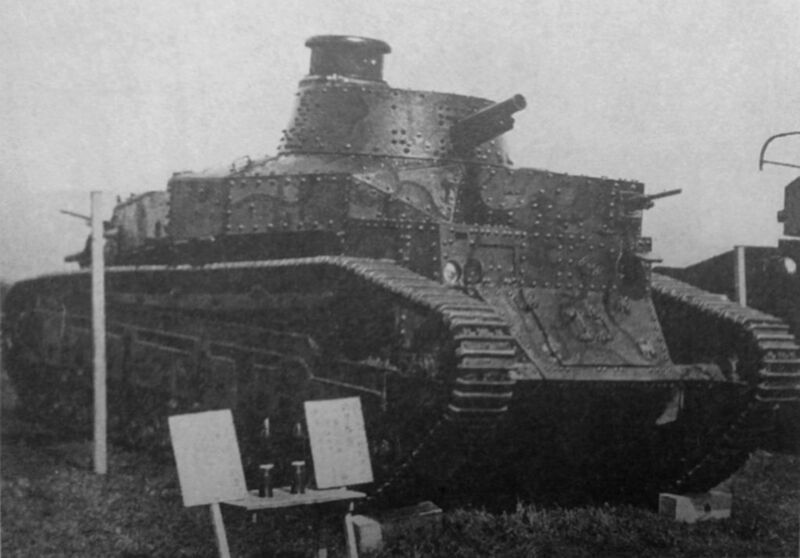 Japan thus realized they needed to modernize with the rest of the world, and in 1917, the Imperial Japanese Military Motor Vehicle Investigation Committee dispatched Captain Mizutani Yoshiho to the United Kingdom to purchase a Mark.IV Female tank for research in Japan. Thus, Japan’s first tank would arrive in Yokohama port on October 24, 1918. Japan had also purchased 22 French Renault FT-17 and 4 British Whippet tanks, which were imported to Japan in 1920. In 1925, the Japanese decided to start producing tanks of their own. The Army Staff had initially planned to obtain licenses to build British and French tank designs, which they knew would work as they were tested and put into service successfully in World War 1. These were to be used solely as infantry support vehicles due to the lack of proper infrastructure, qualified engineers, and mechanized personnel. This initial plan was not agreed upon by everyone, however. Tomio Hara, a relatively unknown engineer from the Army Technical Bureau, envisioned that tanks would become a staple for the military, have their own doctrine, and even have their own separate branch of the military. Hara was outspoken, and his opinions clashed with those rest of the team he was part of; he was ambitious while the rest of his team favored implementations which preserved longstanding military traditions. The Operational Chief of Staff gave the Bureau the task of drawing a design Japan could use. The tank was kept under strict limitations, such as a maximum weight of 20t, so that it could compete with other modern nations’ tanks. To top it off, they were only given a period of 2 years to do so. This may not have seemed difficult, because tank development worldwide in 1925 was minimal. The Army Staff had thought it would be impossible and gave the team free reign to do whatever needed to be done besides the vague requirements. 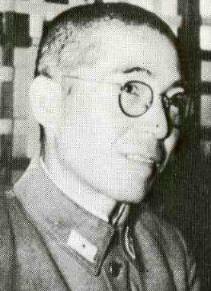 However, Tomio Hara (Head of the project) assembled his own team of 16 engineers and they began designing their own tank. The Army Staff had given them the order to do so in February of 1925, and he and his team went right to work. 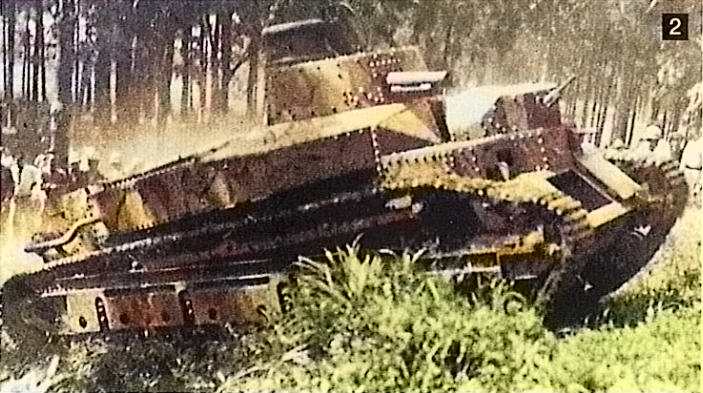 Photograph of the Mark.IV Female tank at the Chiba Infantry School in 1918. Type90 57mm anti tank gun. an early version of this. The tank design was later given more specific requirements as development progressed. The internal structure of the tank was divided into 3 sections; a front crew compartment, an engine housing, and a rear crew compartment. This matched with the turret setup of having two turrets in the front and one in the rear. These compartments were separated by 6mm thick armor plates, with doors to allow traffic through to each compartment. The central turret was provided with an observational window which could be traversed individually of the turret itself. The vehicle was to be given a 8 cylinder engine with an output of 120hp, and a transmission with 6 forward and 2 rear gears, allowing a maximum speed of 20kmh. The engine was unique in the sense it was both air and water cooled. The engine room itself was located in the center. A hatch from the front and rear led into the compartment. To the left and right sides of this compartment were carefully placed containers for the gasoline and oil tanks, and a combined exhaust pipe located to the right of the tank that led to the muffler on the rear. The steering system should be able to turn the pendulum using a constant ratio transmission equipped with a planetary gear box, and have a turning radius of 7 meters. A parallelogram suspension design was chosen and was to be protected by an armoured mud shield. The tracks were supported by 8 paired road wheels at the bottom of the suspension and three individual support road wheels for providing hillside climbing capabilities and maintain stability on whichever side traversing upward. In addition to that, five return rollers with the first one raised, a forward idler wheel and a rear driving sprocket were used. The design was finished in May of 1926. Japan's domestic automobile industry at the time was extremely minuscule, poorly developed, and was also crippled by the fact that few factories in the country owned proper machines and tooling for the manufacturing of large parts for automobiles. To counter this, the Technical Bureau knew that they had to build the parts one by one with their own resources, in small dimensions. This would be done at the Osaka Arsenal, the primary facility for the Army at the time. Mitsubishi and Kawasaki both aided in building many of the parts for the tank. Around this time Mitsubishi was divided to have a Naval and Aerial division. The company formed Mitsubishi Heavy Industries shortly prior to the Experimental I's construction. The design that the group came up with exceeded more than 10,000 individual pieces. 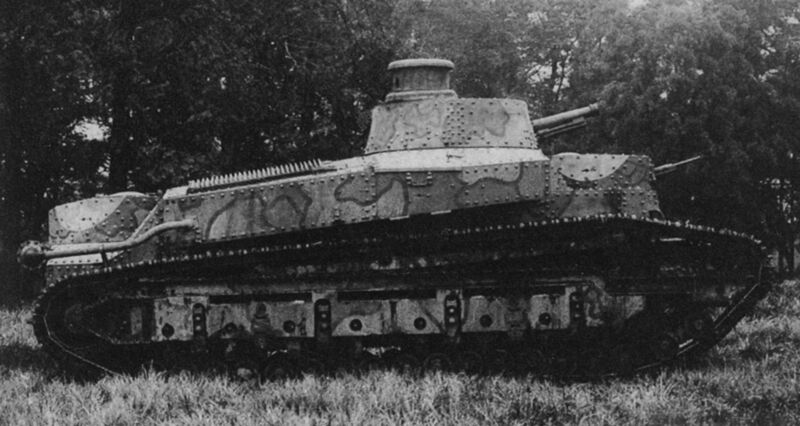 The Experimental I tank. This single prototype proved to a nation that they were capable of designing their own tanks despite only modernizing recently. The prototype was completed in February of 1927, two months before the expiration date of the project. The engine output was distributed and operated by a steering transmission incorporating a planetary gear unit. This was designed and patented by Hara himself. It had the function of a constant radius and pivoting turn plus emergency case deceleration of its main brake. Compared to the clutch brake style, the power loss is minimal and it became the standard system of Japanese tanks onwards. The tanks turn radius was only 4.6 meters and it was possible to turn the vehicle by moving only the crawler belt on one side of the vehicle. The suspension was arranged in a method of a bunch of small rolling wheels guided by a sprocket on the front of the hull and the ignition wheel behind it. It's coupled with a large shock absorber holding a large bow shaped spring and a connecting rod which moved independently and was attached at each end. A small rolling wheel was connected to this. The armour plating used on the prototype was formed using mild steel. This was due to the lack of bulletproof steel that was not yet widely distributed for tanks and welding was not developed in Japan or in general. Rivets were the primary style of constructing tanks and other armoured vehicles at the time. The first demonstration was held near the base of Mt. Fuji on June 21st, three months after the Experimental I finished construction. It was an inspection test where preliminary testing was not carried out within the Army Technology Headquarters. After being transported by train from Osaka, this tank drove about 8km from Gotemba Station to the Army barracks while military officials and the general public were spectating. Naturally, this was a risky thing to do as the tank was just a prototype and was prone to breakdowns and failures. Reliability was minimal but it showed Japan's staff, military, and even its people that a new age had begun for Japan. Experimental I being shown publicly at the Tokyo Showing. 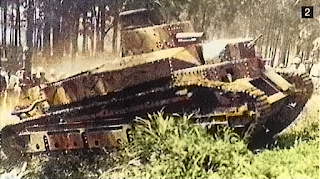 Subsequently, a trial test was conducted at the Fuji Exercise Station, easily going over a steep slope, and accomplished the traversing of levees and trenches as placed ahead. The Experimental I showed much more mobility than tanks from Britain and France had been, and the tank kept a solid stability level for shooting exercises. During the trials, Tomio Hara made the comment "...... In the eyes of those familiar to us with foreign medium tanks going 14 kilometers an hour, the appearance of an 18 ton tank going over 20 kilometers and hour rushing up the road is spectacular in itself. Adding tank power to our nation's defense? I have a sense of trust. ". At the time, there was no precedent for the Army, tanks were not a thing of familiar nature. Hara and the rest of the Bureau proved to the Army Staff that Japan was capable of successfully designing a tank. Even the individuals who were against tank production were now all for it. The trials of the tank were very successful, but the tank was never adopted into military service. The problem with the Experimental I was that the Army's weight requirement was 12 tons, the weight of the tank in the design phase was 16 tons, and it weighed 18 tons when completed due to reinforcement of each part with the build prototype itself. The tank only had a maximum speed of 20kmh, despite the requirement for a 25kmh max speed in order to move along with infantry. At that time, this was considered to be a problem for the Army which had imagined a conflict with the Soviet Union, planning to operate tanks in the vast plains of Northern China. This tank did lead to the accumulation of valuable domestic tank development experience, and it would be used for decades to come. Is it correct, or is it a mistake of modeling ? Yes, but I thought it was the usual post-devblog article, and I wrote it here. But apparently, there's no problem with the model of the I-Go, so, the subject is closed. Your work is impressive as always. You're working hard for this project and I want you to know that it's appreciated by all the community of WT and not only. :) Keep going! Great content! You just keep feeding my addiction! Keep it coming!